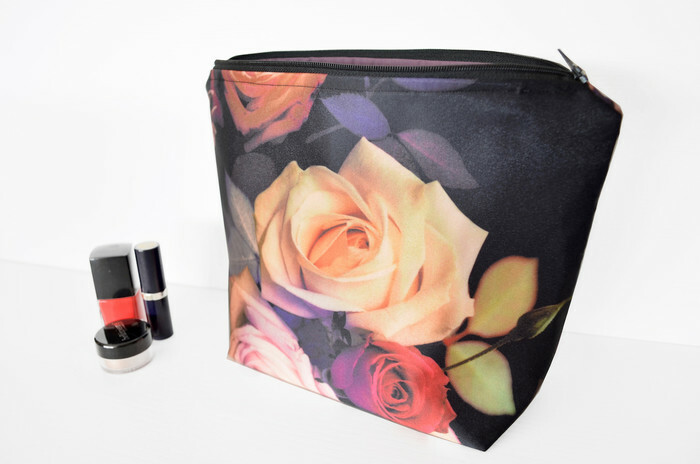 This cosmetic bag is made with stunning rose satin fabric. 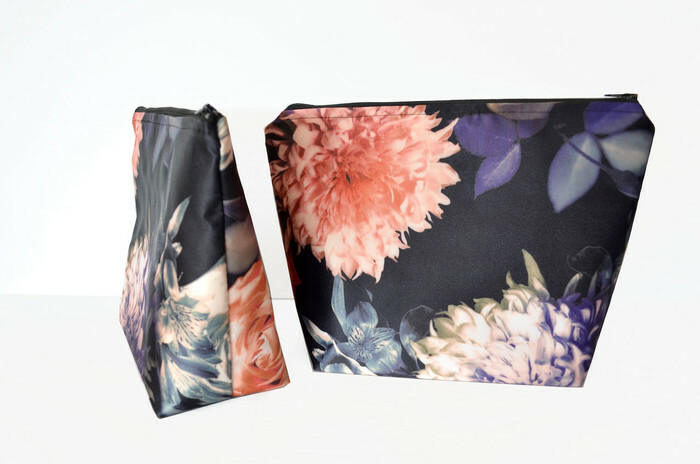 Peonies feature on one side and roses on the other. 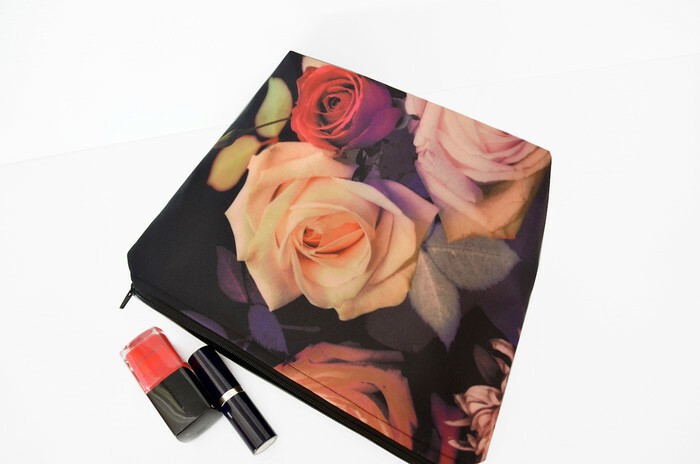 Beautiful gift for a mother, sister or friend. 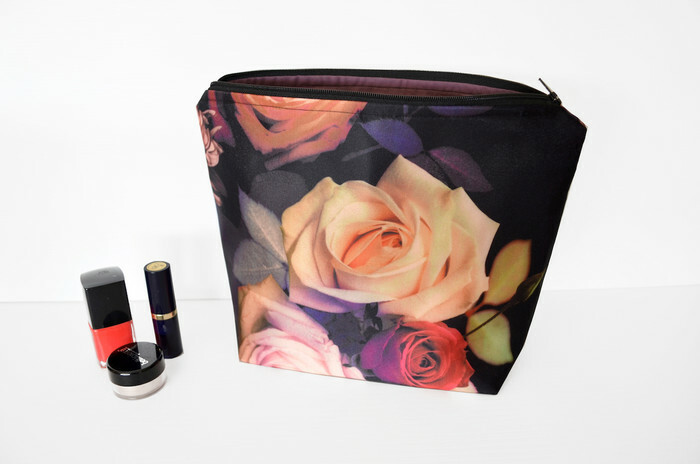 Large in size so it will hold plenty of makeup, hair products, brushes etc. Inside the bag I've used cotton fabric in a purple shade. I've added heavy weight interfacing for added strength. 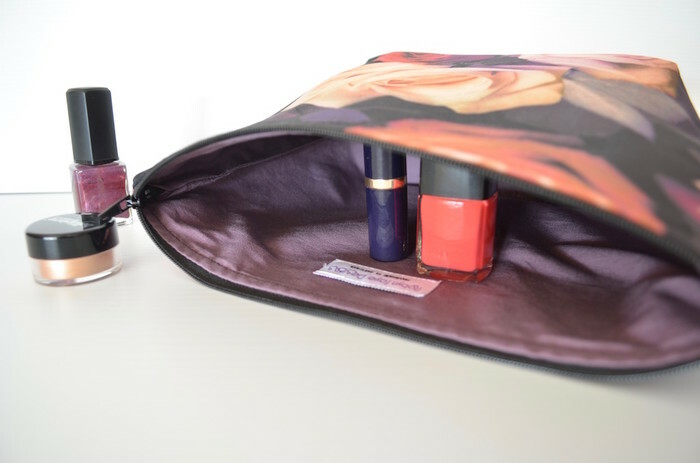 The bag closes with a black nylon zip. This bag can be hand washed. All fabrics are new and pre washed to eliminate shrinkage and dye run.